The ban on television adverts for online casinos is to be removed. The UK government's Gambling Act 2005 will come into effect in September this year, and will also remove the prohibition of advertising for other forms of gambling. Sports Minister, Richard Caborn, pledged to monitor the situation closely so that any problems could be quickly sorted out. 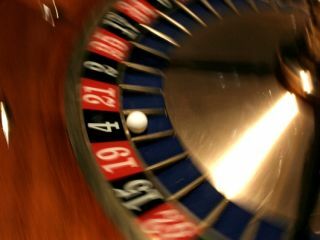 Online casinos, such as 888.com , will still have to follow a set of guidelines to get their adverts through the system and on to the television. The sites will not be able to advertise during programmes aimed at under-18s, and the adverts themselves cannot depict anyone who appears to be under 25 taking part in the gambling. And that's not all. The Gambling Act 2005 says that online gambling companies must act in a "socially responsible" manner and must not, for instance, promote gambling on websites as a solution to debt. The advertisers "should not portray, condone or encourage gambling behaviour that is socially irresponsible or could lead to financial, social or emotional harm," says the bill. The gambling sites have also been told explicitly that they should not exploit the susceptibilities, aspirations, credulity, inexperience or lack of knowledge of young people, and should not link gambling to "seduction, sexual success or enhanced attractiveness". Richard Caborn said the restrictions were set in place to protect the young and vulnerable. "They set out clearly what is and isn't acceptable advertising practice for all gambling operators, while making sure that the protection of children and vulnerable people is a central consideration of all advertising campaigns. "If they are insufficient to ensure proper public protection, the government will consider using its additional powers to impose further restrictions," he said.